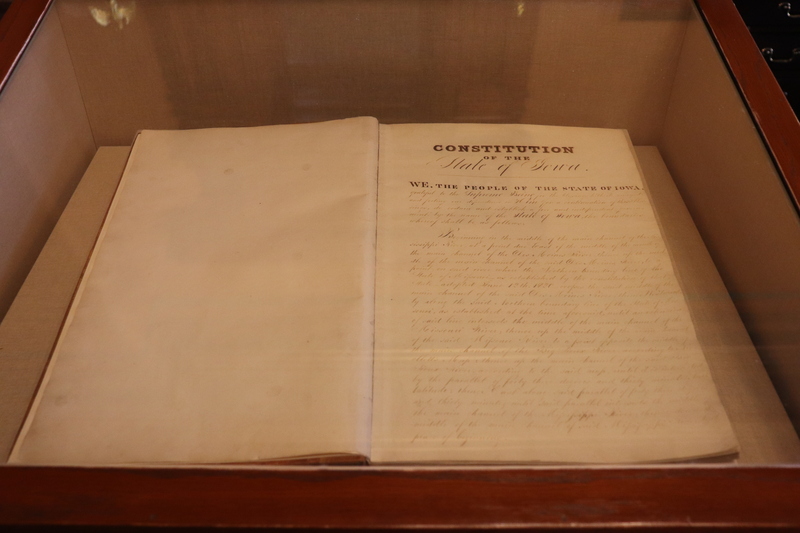 After a day of exploring Lincoln, Nebraska, I was ready the next morning to go see the other state I planned to visit on my Midwest trip – Iowa. 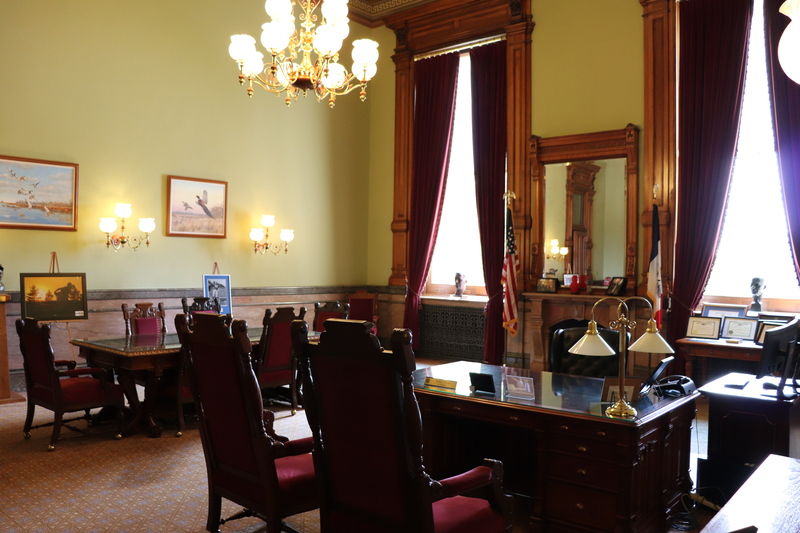 Another place labeled by many as a “flyover state”, I chose to visit its capital city, Des Moines. Located close to the center of the state, it is Iowa’s most populated city. In fact, Des Moines is the only city in the Hawkeye State with a population of over 200,000! After a nearly two-hour drive, passing by pretty much nothing but cornfields and farmland, I arrived in town. 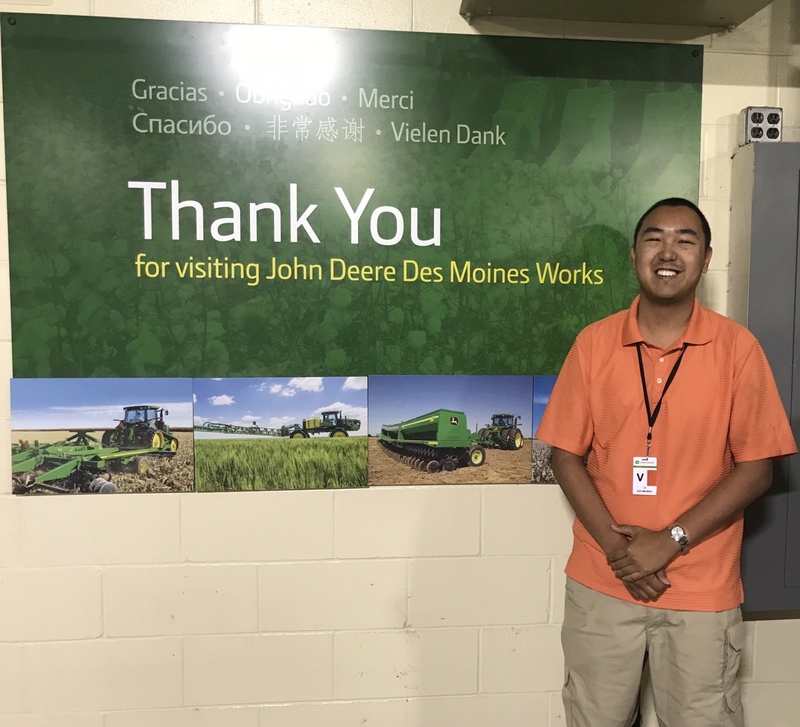 The first destination I went to was the John Deere Des Moines Works factory, located in the city of Ankeny, a suburb of Des Moines. I took a tour of this massive plant, which I had arranged in advance. 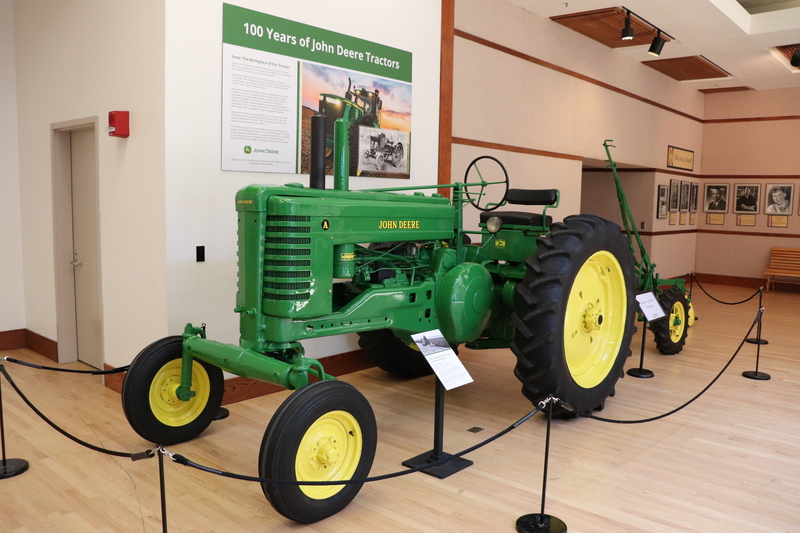 Tours are available to the public, and can be arranged by following the instructions on John Deere’s website. Although photography was prohibited, the tour was amazing! Our group of around ten people started off watching a film in a “briefing” room, followed by getting onboard a small tractor with attached seats in the back. We then went around to pretty much every building on the lot, seeing how equipment like sprayers and cotton harvesters are made first-hand. 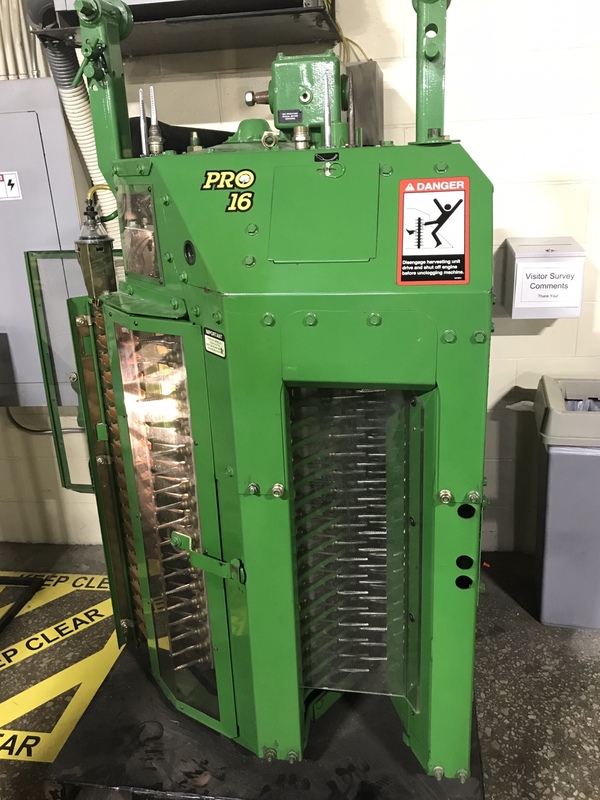 From the assembly line to the painting booth where the famous John Deere green is applied, it was a cool 1.5 hours spent seeing the work that goes into making these huge pieces of equipment. 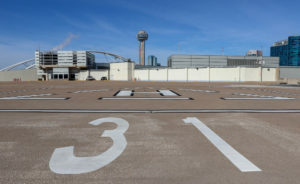 This tour should be on your list of things to do here! Leaving John Deere and after a nice lunch at a local pizza place, was the Iowa State Capitol. 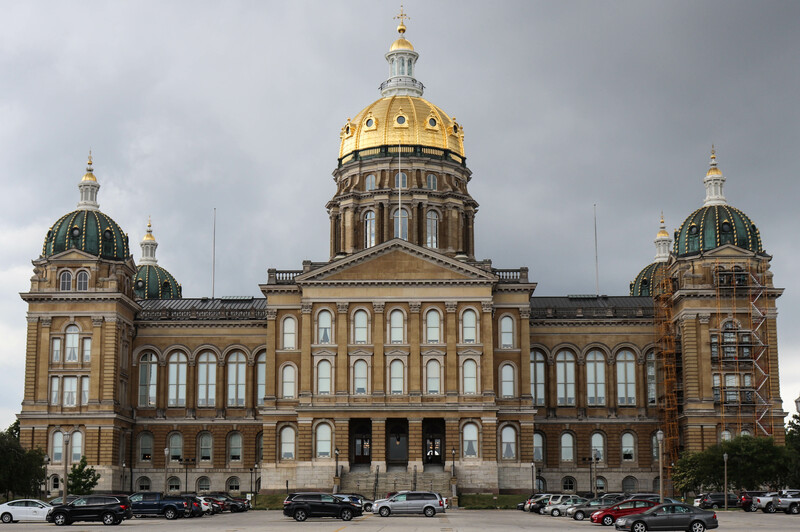 Standing out immediately amongst the Des Moines skyline with its gold-covered dome, the capitol was built in 1886 at a cost of close to $2.9 million dollars. It is the only five domed state capitol in the country. 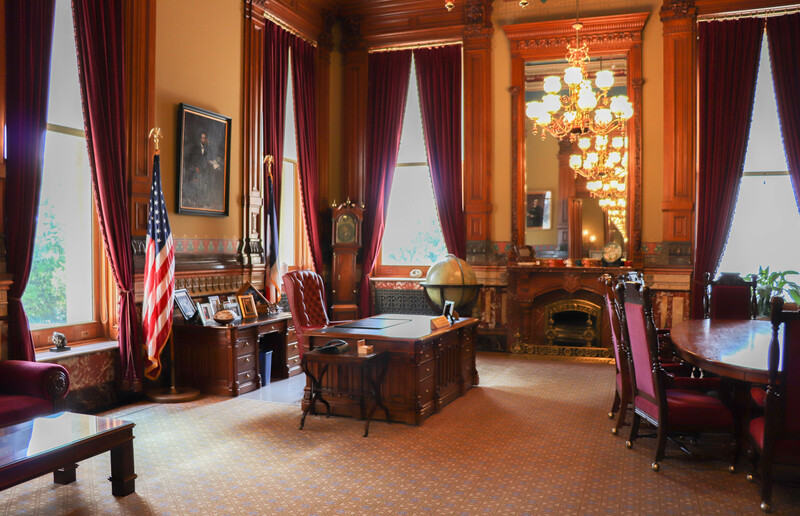 Inside, many parts of the building were open to the public for exploration, including the Governor and Lieutenant Governor’s offices! On the map I got from the information desk, it showed that even the Secretary of State and the Auditor of State’s office was open for exploration. What’s to see there?, I thought. It turned out there are a few items unique to their offices that makes it worth the stop. 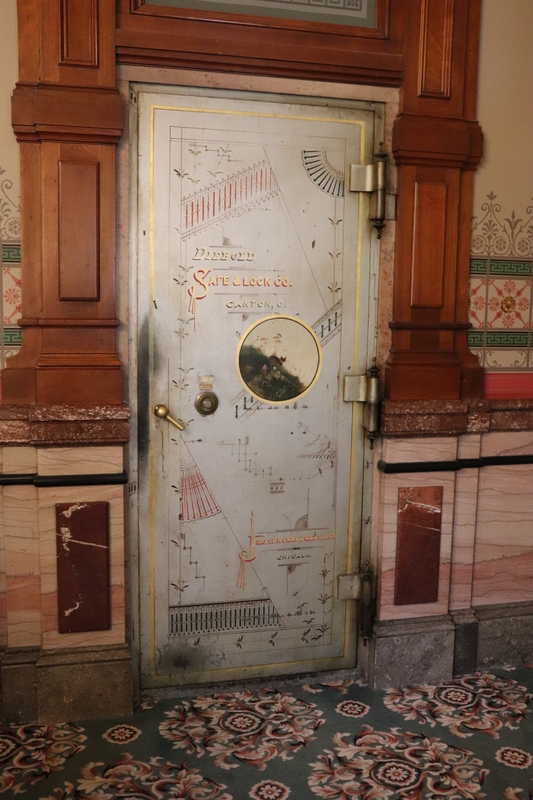 In the Secretary of State’s space, there was the Iowa Constitution, while the state auditor had a historic safe that they let me check out. This safe door was heavy! 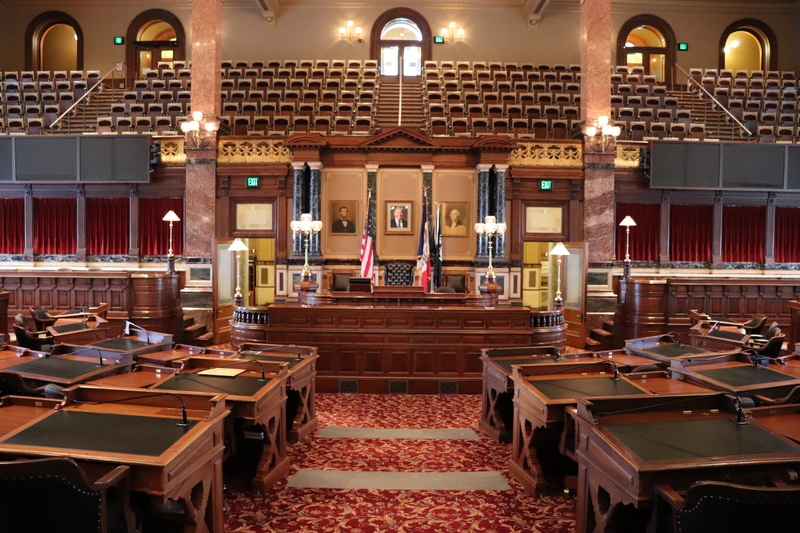 Much like the rest of the country, Iowa has both a House and a Senate, and I got to see their chambers. Although the architecture of both of these chambers were not as grand as those of Nebraska, they were still very nice. Both the floor and gallery were open. The chamber of the House of Representatives. One of the last places I saw here was the State Law Library, located on the second floor. 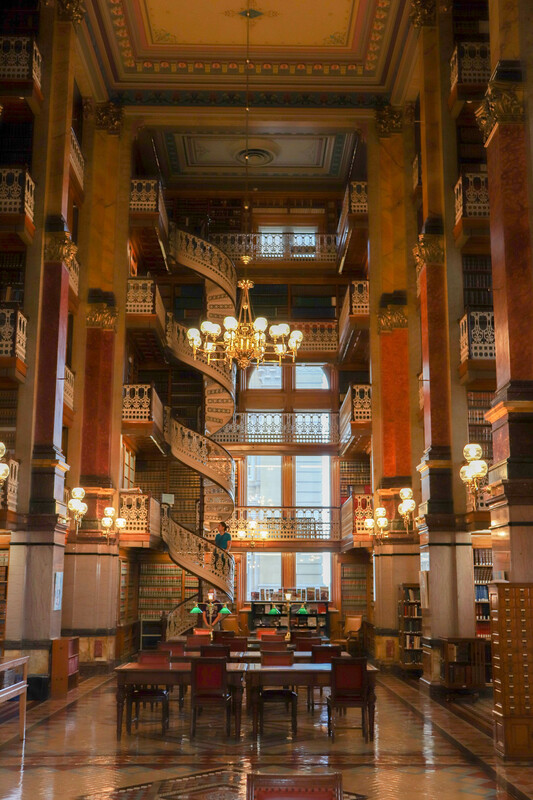 Gorgeous would be an understatement, as the combination of five floors accessed through a spiral staircase makes this one of the grandest libraries I have seen to date. Libraries can’t get much nicer than this design-wise! Although a guided tour of the Capitol was available, which (of several destinations) included a visit up to the dome, I had to get going to my next stop. However, if you have time I’d go for walking the 130 steps up there! 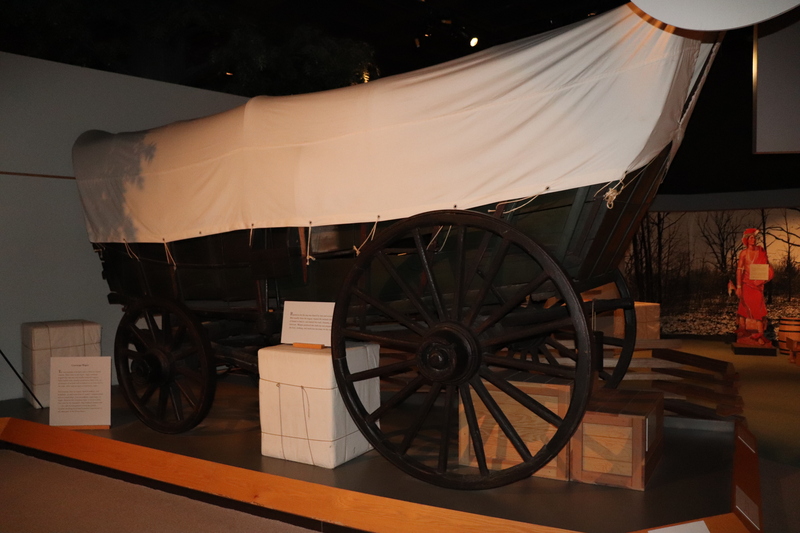 My last stop in “DSM” was the State Historical Museum of Iowa, located just west of the Capitol. 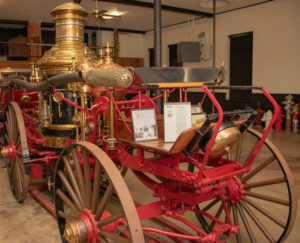 The State Historical Museum of Iowa. At first, I didn’t know that this museum was so close to the Capitol, for I would have just left my car in their free parking lot. After a few minutes of circling around trying to find a spot, I eventually found some free roadside parking, which was surprising considering there were meters everywhere else. 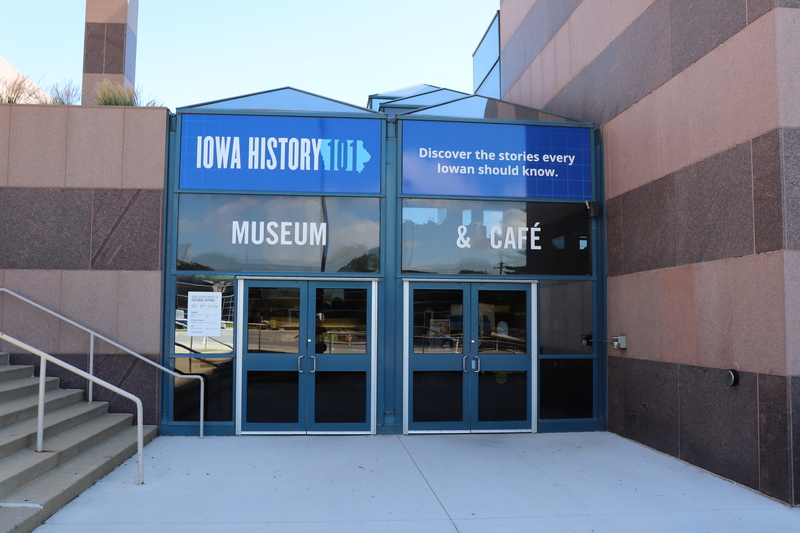 The museum was free of charge, and talked mainly about the story of Iowa. 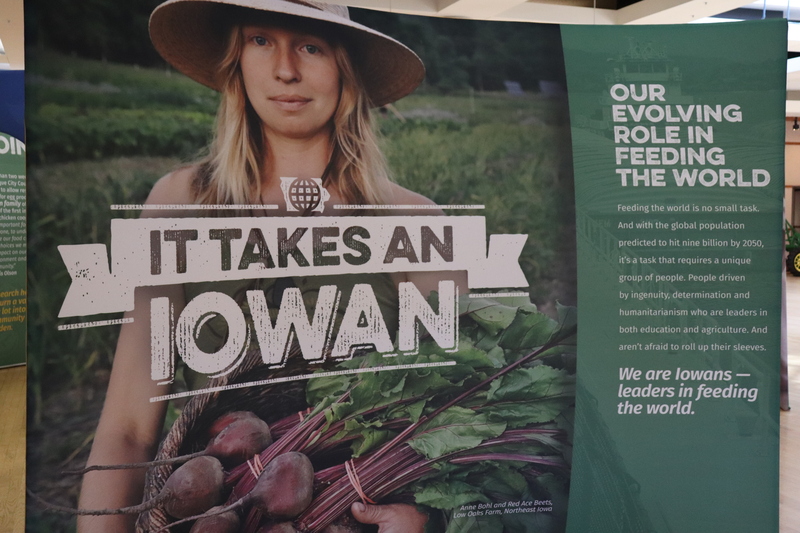 The importance of agriculture to the state’s economy was well-mentioned, as there were a couple different exhibits talking about food production and the importance of Iowa in feeding the world. 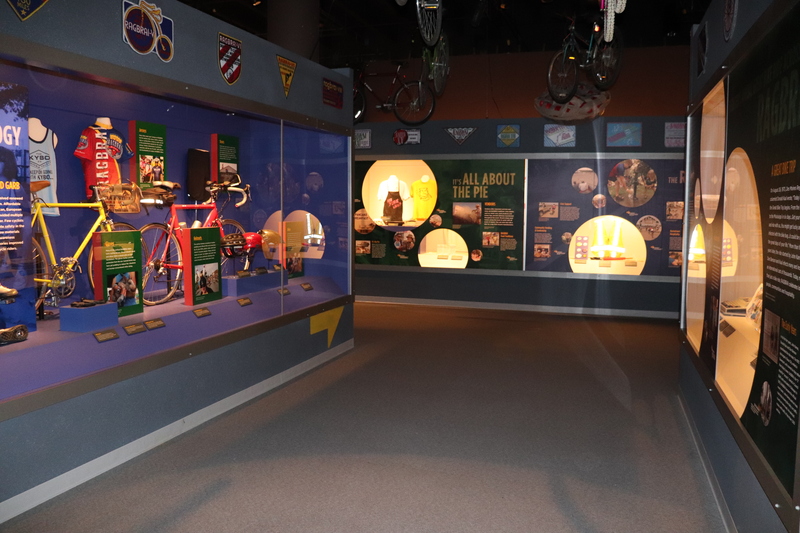 There was also a section talking about the Register’s Annual Great Bicycle Ride Across Iowa, or RAGBRAI for short. An annual bike ride going from one side of the state to the other, it is the largest and longest bike-touring event in the world. 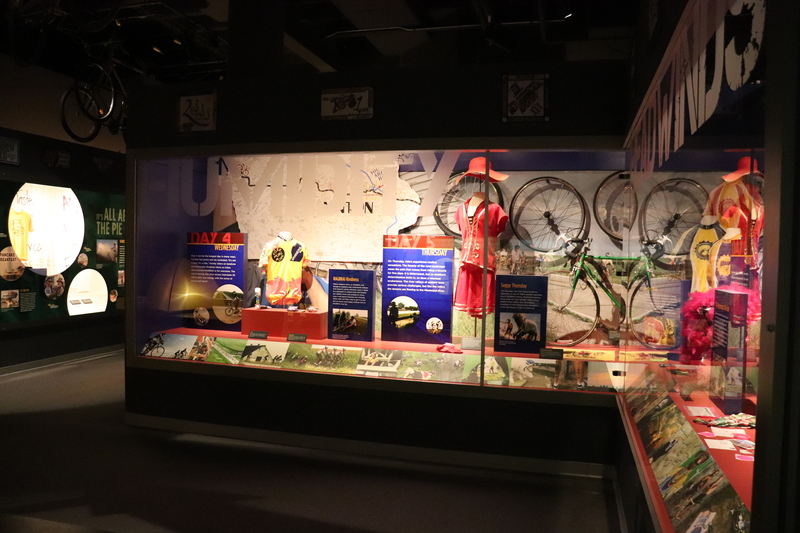 Artifacts from previous years rides were on display here, and display panels provided me with a detailed history as to how the event got started, equipment used, and so on and so forth. Did you know Iowa had coal mines? I didn’t! 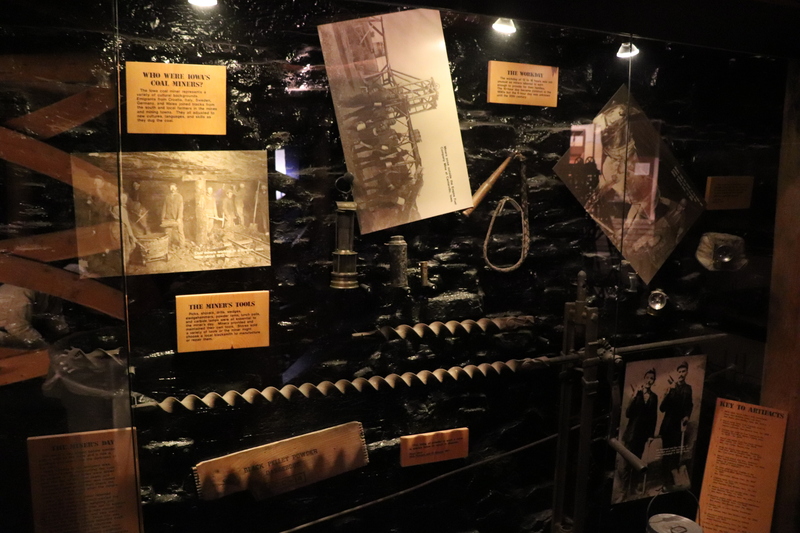 A section here talked about the history of this often-dangerous job, as well as life in the mines. Mining was(and still is) a hard and dangerous profession. All in all, the State Historical Museum of Iowa was nice, although I will have to say the content can get pretty dry at times. It might have just been me being a bit exhausted from all the sightseeing, but some of the stuff just wasn’t too interesting to read through. That being said, this place does provide you with a well-rounded glimpse into Iowa’s past, present, and future. 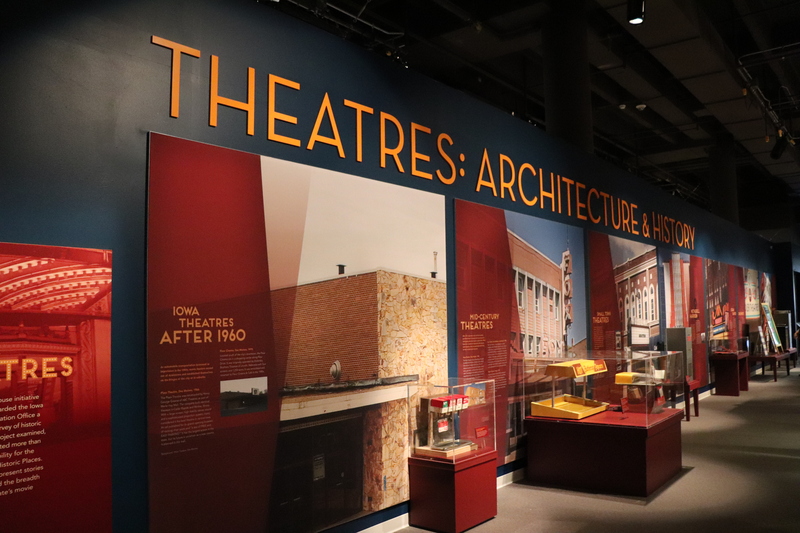 Although I didn’t get to see everything in Des Moines, due to me heading off to visit Iowa State University in Ames next, many of the highlights were covered. 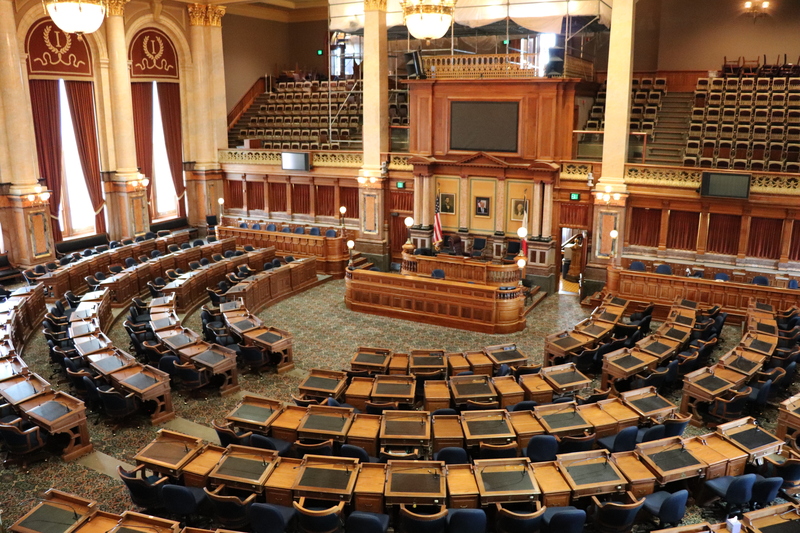 Every state in the country has some significance, and I certainly learned quite a bit about what Iowa had to offer and the highlights of their capital city! I have always wanted to visit the Hawkeye State. 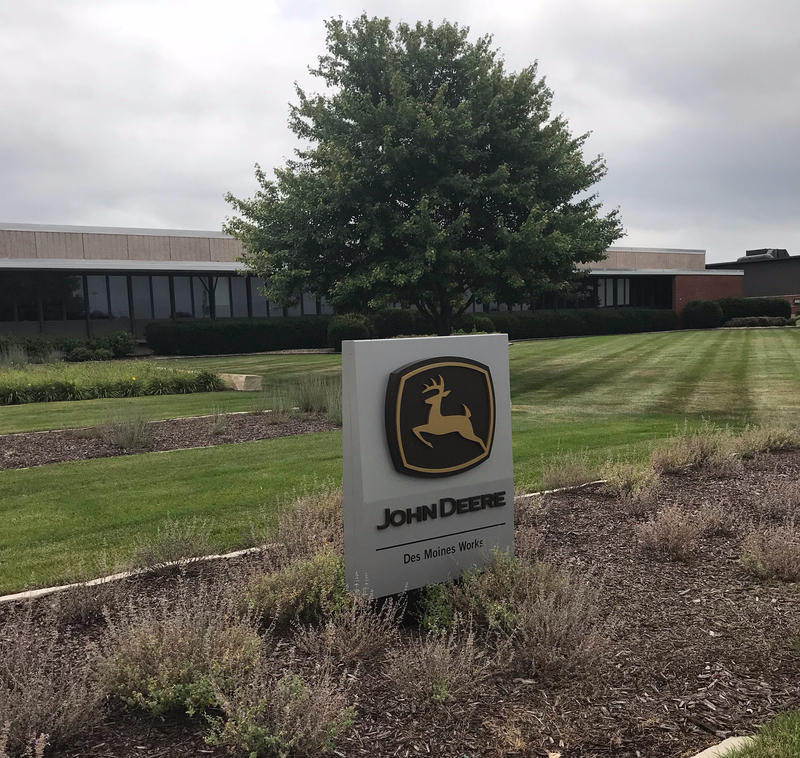 Being a ranch girl I have memories of my dad driving his tractor around what we called their little ranchette, so I enjoyed reading about the tour of the John Deere facilities. That library is gorgeous by the way!! The John Deere tour was cool! They actually have several locations in Iowa, and I believe all of them are open to the public for tours. And yes, the library made me go woah when I walked in!